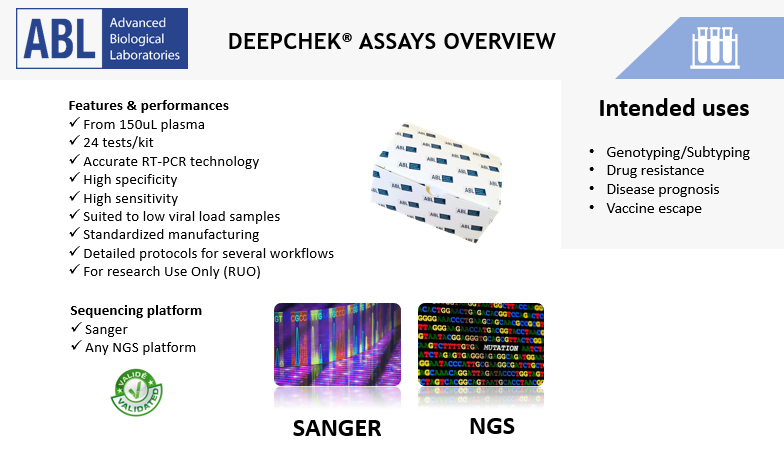 The DeepChek® Assay product line combines target-specific PCR reagents with in vitro diagnostic software both compatible with either Sanger or Next Generation Sequencing platforms for Microbiology or Virology applications (like HIV, Hepatitis C, Hepatitis). Each assay is suited to 24 sample analyses and contains all the RT-PCR or PCR reagents to perform a targeted amplification of the key actionable genes (Ex. 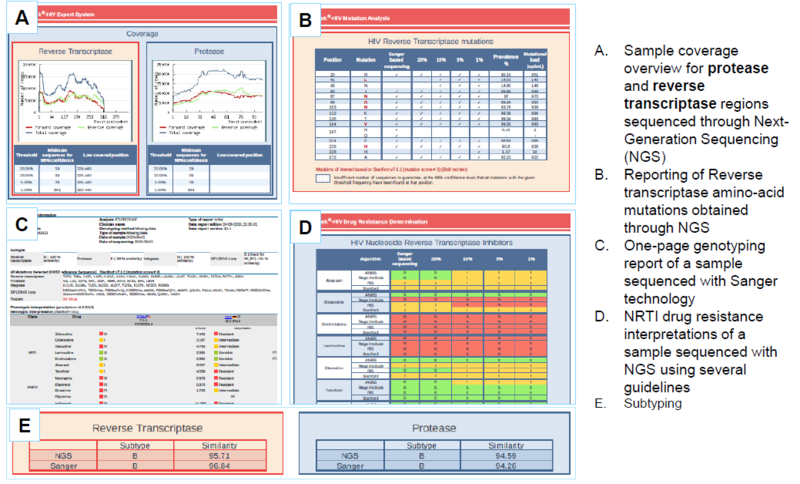 : RT/PROT for HIV, NS5B/5’UTR for HCV genotyping, NS5A/NS3/NS5B for HCV Drug Resistance…). 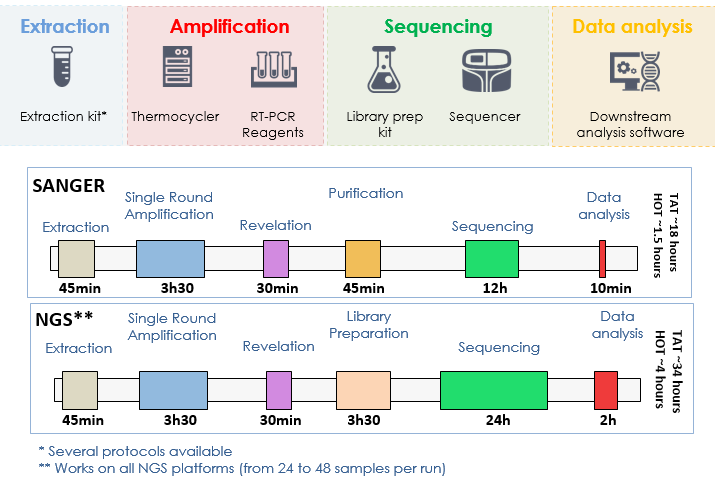 The assay also includes Sanger sequencing primers, detailed protocols for Sanger or the main Next Generation Sequencing platforms and the software for Sanger or NGS sequencing data analysis and interpretation. Hepatitis C Genotype 4R Resistance-Associated Polymorphisms: The Achilles Heel of the Nonstructural 5A Inhibitors?